Our first-ever Girls Jamboree was held October 27, 2018. The tournament was held at the National Sports Center. It was a great opportunity for traveling teams to get quality scrimmage time in vs other traveling teams before the season started. The event was open to 6-8 grade traveling associations and was held in conjunction with the National Sports Center. Check back here again in the fall of the 2019-20 season for the next Jamboree event! Games played at the NEW NSC basketball center! No renegade, open, or all-star teams allowed. You'll find a Google Map to the National Sports Center below. 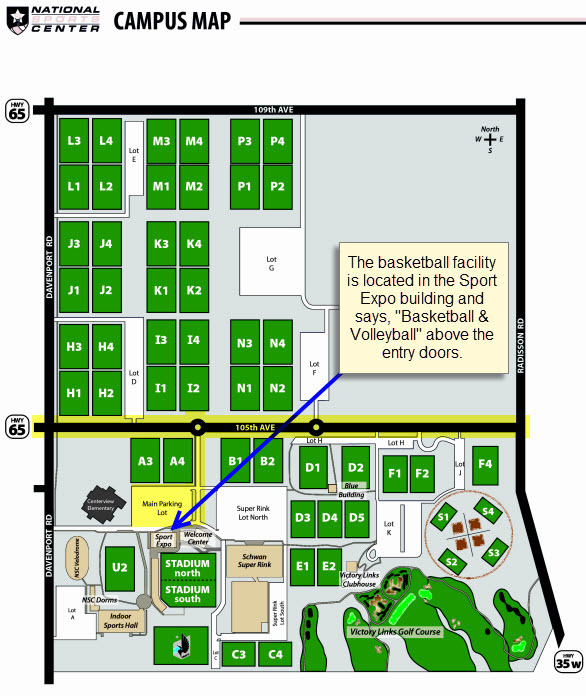 Click here for a detailed map of the campus to see where the basketball facility is located once you arrive at the National Sports Center.